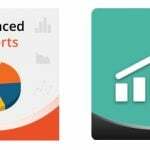 With the help of the Custom Carrier Trackers extension by Xtento, you will essentially improve the tracking mechanism available in both Magento 1 and Magento 2. The module will add new tracking carriers with custom tracking URLs, make tracking links in emails clickable, as well as disable default tracking methods which have lots of restrictions. 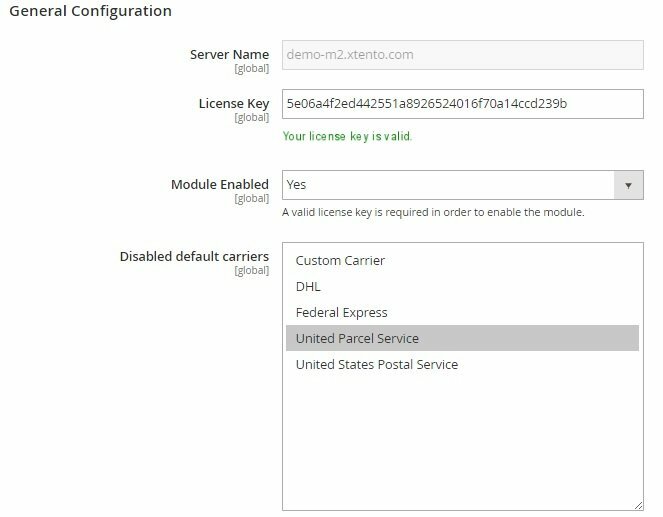 And since the default Magento platform supports only tracking methods by DHL, UPS, USPS, and FedEx, Xtento Custom Carrier Trackers is a must have extension that lets you ship with other custom carriers providing your clients with the ability to track their orders. After installing the module, you can add up to 15 new tracking carriers. Each new carrier, tracking name, and the URL are fully configurable, so you can customize them according to your business needs. 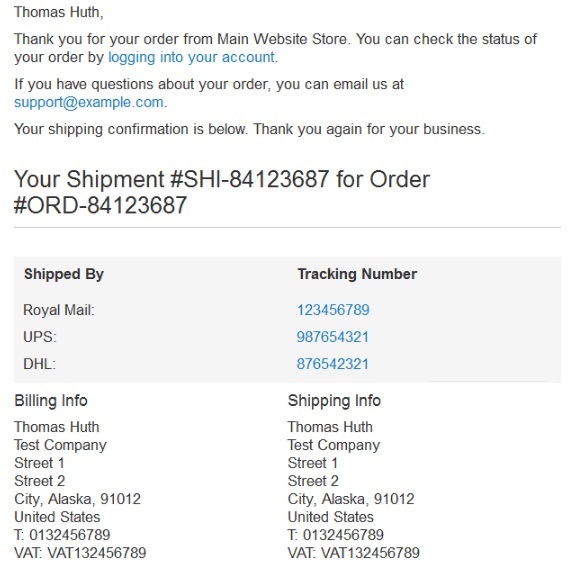 As for the tracking number, it gets replaced in the tracking URL automatically. You only have to use the #TRACKINGNUMBER# variable, that will add the actual tracking number into the tracking URL. Besides, the Custom Carrier Trackers Magento 2 module allows you to output the recipient’s postcode in the tracking URL. You only should add the #ZIP# variable. As a result, you provide your customers with the ability to track orders right from the shipment email, making tracking links in the email clickable. Note that this feature is not available in Magento out of the box. If you didn’t find your carrier in the list above, contact Xtento to check if your carrier supports a tracking URL with a tracking number. You can find all you carriers under System -> Xtento Extensions -> Custom Carrier Tracker. Besides, there are Extension Configuration and Advanced Configuration available here. In the General Configuration section, you can view Server Name, edit License Key, disable the module, as well as disable default carriers. In each Custom Tracker field, you can enable/disable tracker and specify its title and URL (add variables: #TRACKINGNUMBER# and #ZIP#). As for Advanced Configuration, this section lets you enable/disable “direct tracking links” in admin. Now, you can go to Sales > Orders to ship an order using custom trackers. 15 new fully configurable trackers. Automatic replacement of tracking number and postcode in the tracking URL. Clickable links in shipment emails. “Track Order” in the admin links to tracking URL and shows tracking link in a customer account. List of known tracking URLs. Disable/hide default Magento tracking methods. As you might have seen, Xtento Custom Carrier Trackers implement small but very important changes. 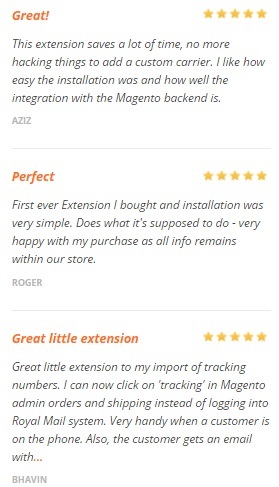 The extension improves customer experience, so your clients become more loyal if you’ve installed it. And all we know that loyal customers increase sales. Want to make your ecommerce store better with the help of Xtento Custom Carrier Trackers for Magento 2 and 1? Get ready to spend $59 – the smallest price tag you could even imagine for such a necessary tool.